I busted out my slow cooker last night. I really wish I used it more, but unfortunately I know myself well enough to know I’ll never be the slow-cooker queen. I do however love it for chili and a few times every winter I’ll get it out to make a big batch. It’s the same process every year…I’m amazed at how easy it is, I swear I’m going to use it more, and then it goes right back in the closet. Maybe next year will be my slow-cooker year! 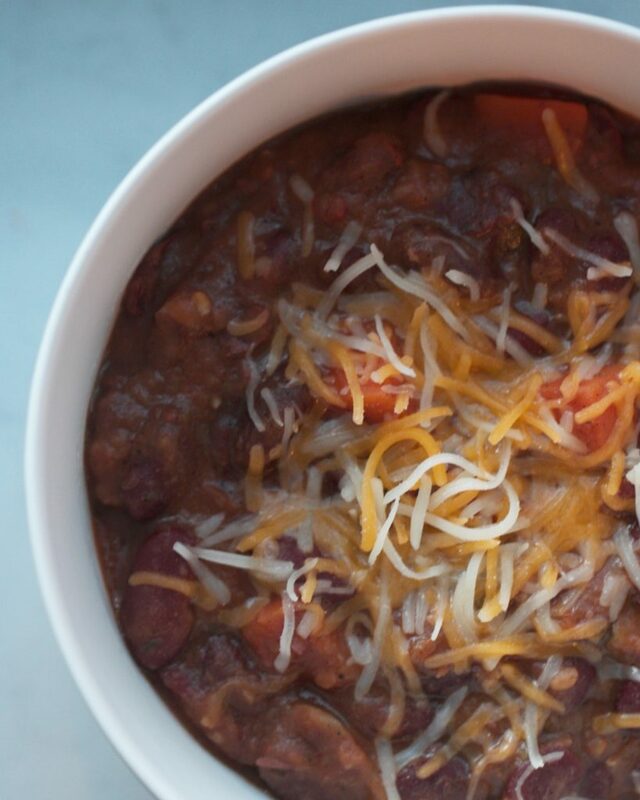 Regardless, it is bone-chilling cold here in NYC today and this warm chili is totally going to hit the spot. While the girls were having breakfast this a.m. I simply tossed all the ingredients for veggie-packed chili in and we came home this afternoon to a perfectly cooked, warm, hearty, filling, and super healthy dinner. Plus, the girls love that I include little bowls of their favorite toppings to include at their own discretion. 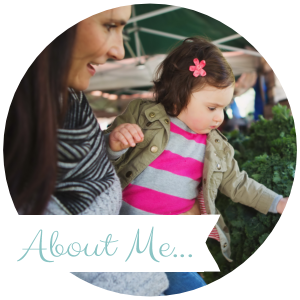 They love the indepence and I love seeing them fill their bellies with veggie, fiber & protein packed goodness! In a (4-6 qt.) slow cooker, combine all ingredients plus 1 cup water. Cover and cook on low until the sweet potatoes and carrots are tender and the chili has thickened, approx. 7 hours. Alternatively, cook on high for 4 hours.